(Nashville, TN) – A project that has been in the making for over 100 years is finally available. 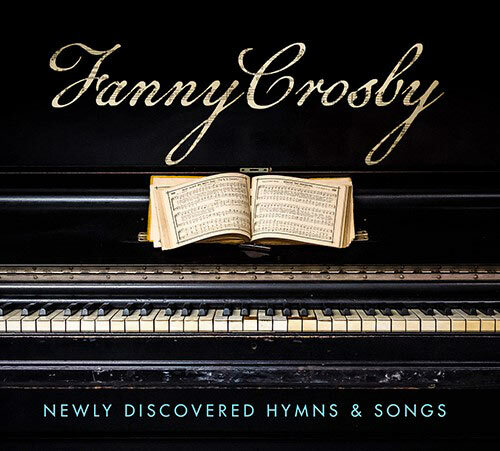 StowTown Records is excited to announce a historic project, Fanny Crosby: Newly Discovered Hymns & Songs. Fanny Crosby is an iconic part of the fabric of faith in America, penning over 8,000 hymns and gospel songs. These classics of the church include "Blessed Assurance," "Pass Me Not, O Gentle Saviour," "I Am Thine, O Lord," "Tell Me the Story of Jesus," among others. Recently, a treasure trove of unfinished and unpublished works was found by Stephen Kelley (associate producer) at Wheaton College. This discovery gave Wayne Haun (producer/StowTown co-owner) an idea - to finish these lyrics with some of today's top writers and give life to these songs with performances by 15 of today's top artists in inspirational, bluegrass and gospel music. "This is a project that comes along only once in a career," states co-producer Wayne Haun. "To comb through these unfinished works that were started over 100 years ago is humbling. Each writer carefully composed additional verses, choruses, and melodies that remained true to the Crosby style. She was truly one of America's greatest treasures." Along with Crosby, additional writers on this project include Sue C. Smith, Marcia Henry, Rachel McCutcheon, Val Dacus, Dianne Wilkinson, Melissa Brady, Jim Brady, Lee Black, Don Poythress, Jeff Bumgardner, Joel Lindsey, Scott Inman, Tim Lovelace, Randall Garland and Wayne Haun. Frances Jane Crosby, born March 24, 1820, is a true hero of the faith. Despite being blind since infancy, she never felt inhibited by her inability to see. It is evident that God’s hand was on her life, with her compositions being printed more than 100 million times. Also known for her teaching and rescue work, Crosby is credited with helping The Bowery Mission in NYC in the early years of its operation. Crosby's piano - which is featured on the cover artwork - is housed at The Bowery Mission, where her legacy lives on daily as they care for the homeless and underprivileged in NYC. Fanny Crosby: Newly Discovered Hymns & Songs is available at your local Christian retailer and on iTunes, Amazon and other digital outlets as well as Christian Book Distributors here.